Super Smash Bros Ultimate brings back every single character so far, and all on the Nintendo Switch. We’ve decided to put together all of the info on each fighter in the roster. In this Super Smash Bros Ultimate Yoshi Guide, we’ll detail all of the changes to the green dinosaur from the last game, and give you a look at what to expect from Yoshi in Super Smash Bros Ultimate, inlcuding Yoshi's move set and alternative costumes. Yoshi is back once again and as fighting fit as ever. There’s not been too many drastic changes to his moveset o fighting style, just a few subtle tweaks here and there. We’ll lead you through every change we’ve seen so far, and take a look at the Yoshi alternate outfits in Super Smash Bros Ultimate. We've detailed all of Yoshi's Special Moves in the table below. You'll find info on how to perform all of Yoshi's special moves and Final Smash. 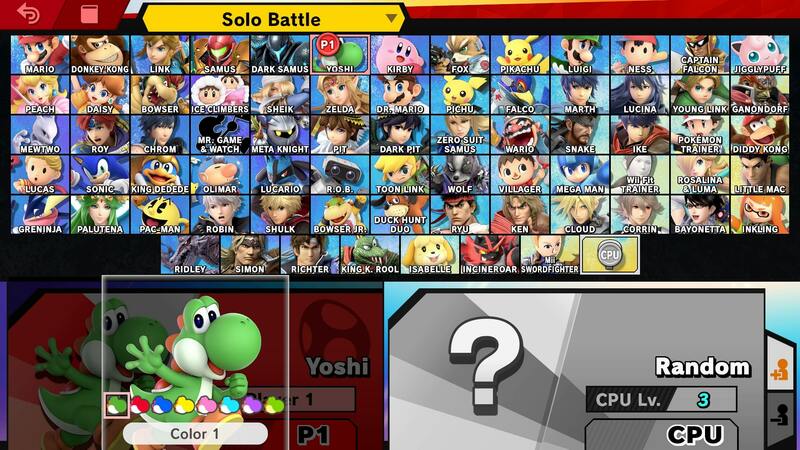 In terms of alternate costumes, Yoshi is pretty much set with what he has had in previous games. There are different color versions of the character including blue, green pink and yellow. Eggs now bounce after Yoshi throws them during his Egg Throw Move. When Yoshi swallows another player, his cheeks will now move and jiggle, as the character tries to escape. Yoshi now always faces the screen. 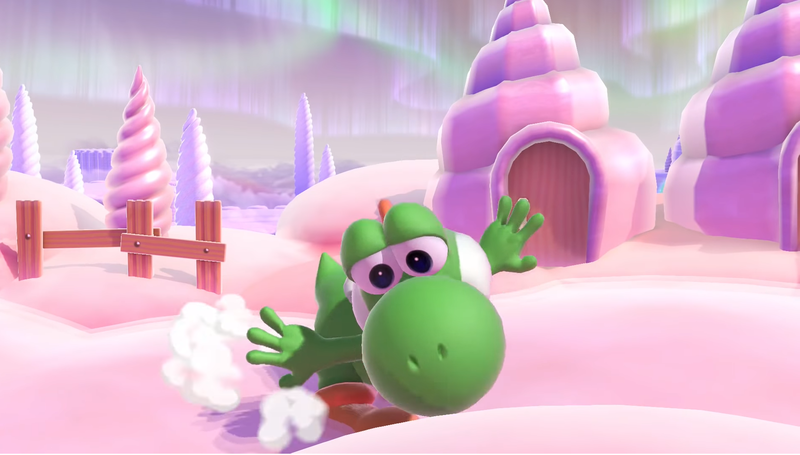 Yoshi’s Final Smash attack remains unchanged from Super Smash Bros Ultimate, aside from a few minor differences in the start-up animation. 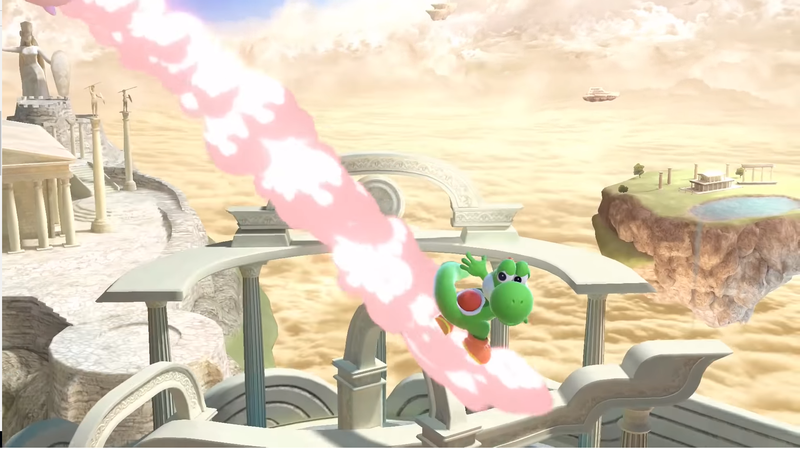 Yoshi’s Final Smash is Super Dragon, in which he grows wings, spits fire and can cause mini-earthquakes.